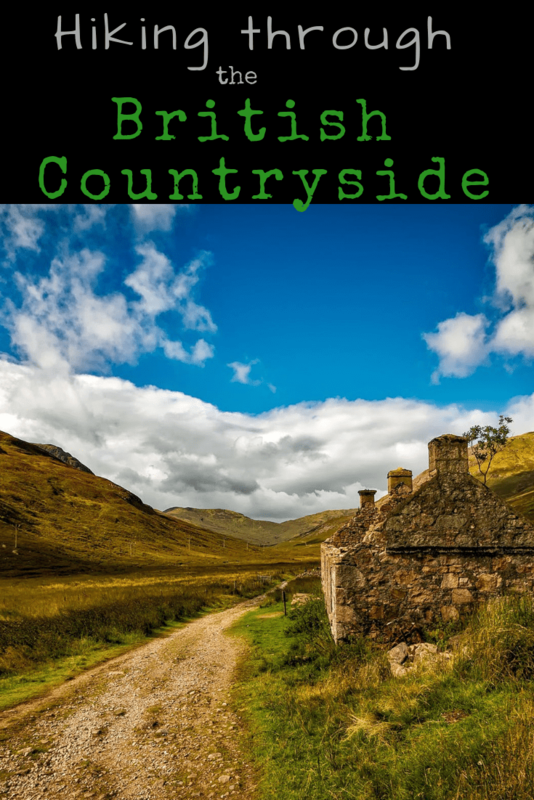 The British countryside features some of the most picturesque natural European landscapes. A walk through these vast tracts of natural land is a great way to learn about the country. It is also one of the best ways to see how British folklore and history was shaped by the magic of its natural surroundings. If you’re planning on visiting Great Britain, be sure to set aside time to see some of these remarkable sights in the British countryside. One of the best places to explore on foot is The Lizard, a gorgeous peninsula in southern Cornwall. Take in the beautiful British coast, rare wildflowers, and cliff scenery. According to The Telegraph, spring is when the cliffs at The Lizard become carpeted with beautiful flowers. In fact, there is one flower that grows here, and nowhere else, which is the alluring, pink-lavender Cornish heath. Not surprisingly, the 600+ plant species that dot the landscape here have inspired its share of British poets. 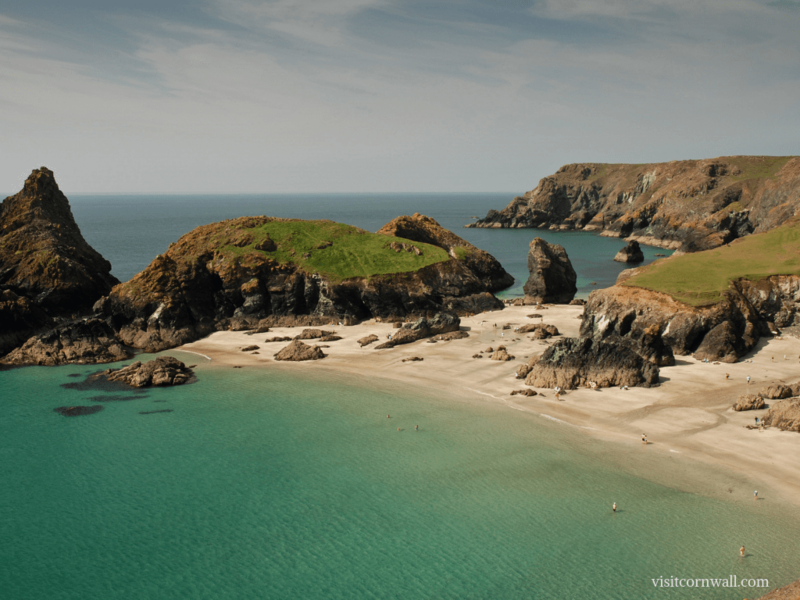 The Lizard is also where you’ll find Kynance Cove, considered by many to be Britain’s most beautiful beach. Definitely stop here if you’re ever in the area! Another hike through the British countryside is West Highland Way, Scotland’s official long-distance walking route. Its gorgeous mountain and lowland scenery attracts around 15,000 hikers annually. Completed in 1980, the 95-mile route starts just outside Glasgow and finishes at the foot of the iconic Ben Nevis, Scotland’s highest mountain. Walking the West Highland Way takes you through Loch Lomond, the largest freshwater lock in the UK. 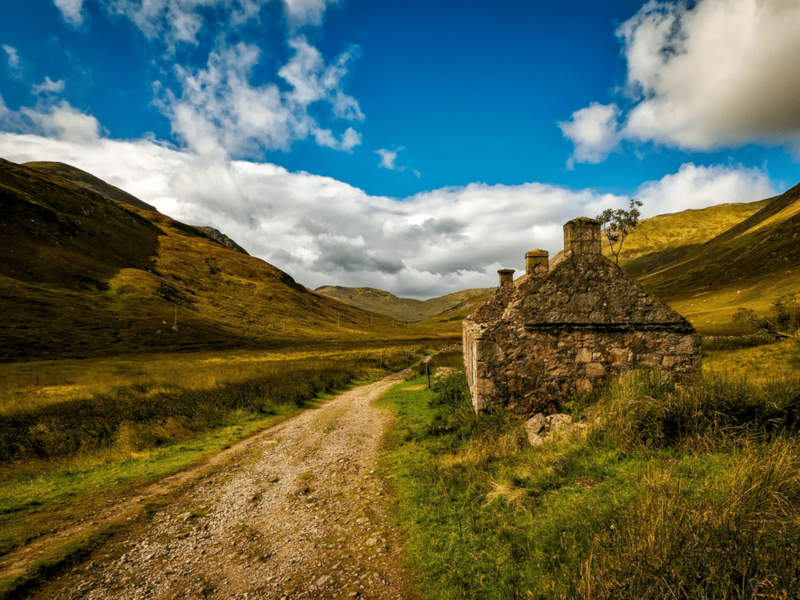 The hike will also take you along abandoned railway tracks and 18th century roads, as well as through the heart of the Scottish Highlands. You might even see goats, deer, or eagles along the way. Another perfect place to hike in Britain is the iconic Sherwood Forest. Most famous for being the home of the legendary Robin Hood, its 423.3 hectares were much larger back when it used to be the royal hunting forest of Nottinghamshire. Today, the Nottinghamshire City Council explains that the Sherwood Forest National Nature Reserve is home to 900 veteran oak trees, a diverse and fascinating ecosystem including redstarts, woodpeckers, nuthatches, and jays, as well as a new visitor center that opened just this year. 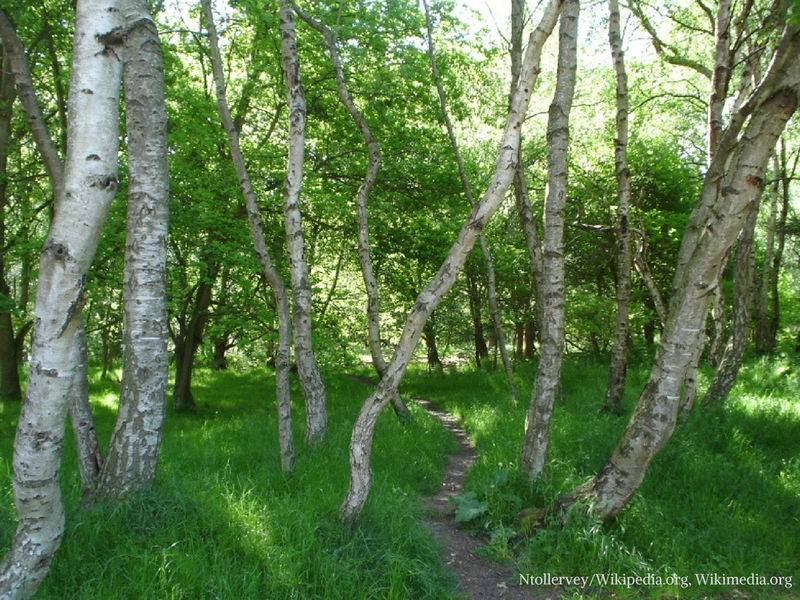 Admission is free and visitors can enjoy guided walks through Sherwood. 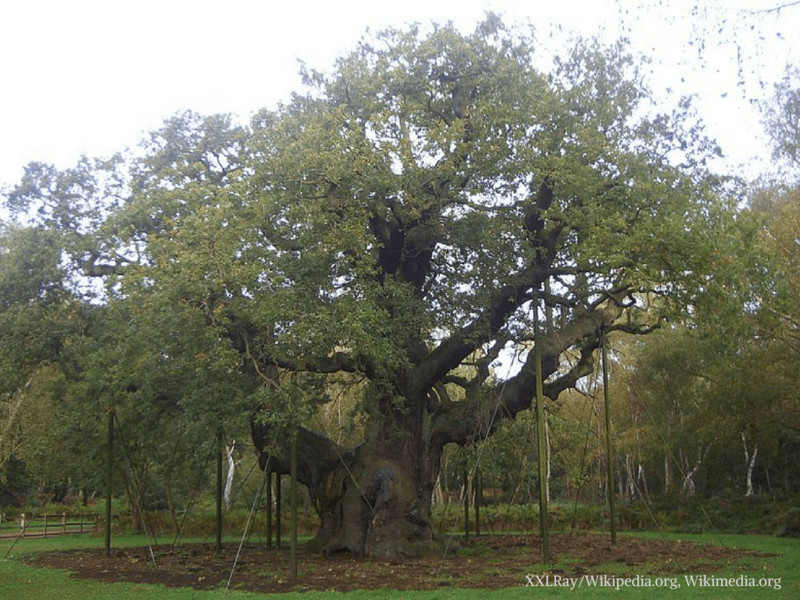 One of the most impressive natural attractions to be found at Sherwood Forest is the famous Major Oak. The massive tree is estimated to be around a thousand years old, and is rumored to be the former principal hideout of Robin Hood of Locksley. The forest is so closely associated with England’s legendary heroic outlaw that many tourists visit Sherwood precisely for a chance to see his old stomping grounds. England’s folklore is a big reason why many people come to visit the British Isles. The stories of Robin Hood and King Arthur are recognized across the globe, with the legends being adapted many times for film, TV, and video games. In fact, NME reports that the Robin Hood story is set for seven different reboots, including Robin Hood 2058 which is set in dystopian London, and the low-budget punk-pop Robin Hood And the Prince of Aragon. Such is their international appeal that companies will either directly adapt, or even just allude to, the legends to reach out to customers interested in the myths. Slingo has a wealth of online games based on popular British folklore including Lancelot and Lady of Sherwood, which are taken from the Arthurian and Robin Hood legends respectively. Despite the myths being centuries old, they are constantly being reinvented and introduced to new generations through evolving mediums such as online gaming. This inspires them to visit the British Isles and see for themselves the locations where the stories came from. If you are interested in the Robin Hood story, visit legendary Nottingham Castle to see a bronze statue dedicated to him (and a location where he would have stolen from the rich). These are just some of the best places to appreciate the alluring British countryside and scenery. If you’re looking for more inspiring places to hike, look up Tryfan North Ridge in Wales and South Downs Way in England. Otherwise, if you’d rather stick to cityscapes and visit London, be sure to check out My Favorite Sights in London – Part 1 and My Favorite Sights in London – Part 2.